The tech world is revolutionizing one minute after another, and we don’t expect it to change any day soon. This is especially the case in the world of gaming. And very few can deny that video games have come a long way over the past few years. The world of gaming has seen its fair share of amazement. From features such as facial recognition to gesture control and amazing graphics, gamers are a few notches higher than they used to be a few years ago. And most importantly, most video games are being played online nowadays. Thanks to advancements in tech, you no longer have to have a strong LAN connection to enough your favorite online video games. You can simply tap into a smartphone, laptop, tablet, hotspot or you’re a shared computer Wi-Fi network. This is where USB Wi-Fi gaming adapter comes in. It is one of the best ways to take the game to your PC, especially if you don’t have a dependable LAN cabled network or your PC doesn’t have wireless network capability. In this case, here are 5 tips to buying the best wireless USB adapter for gaming. Most wireless USB adapters come with installation software, preferably in an installation DVD or CD. For it to function, the device requires you to install the specific software. For your wireless USB adapter to function on your PC, the device software application should be compatible with your computer’s operating system. Most USB adapters for gaming come equipped with an aerial receiver of some sorts. 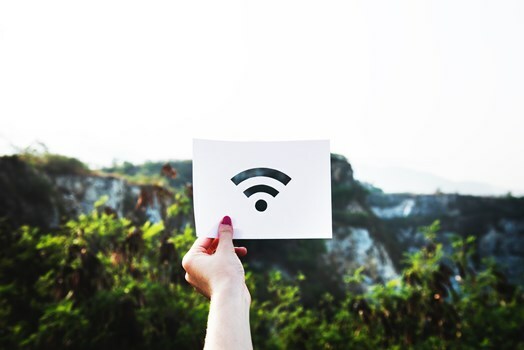 This means that the device is supposed to get reception from the active wireless networks, including smartphone hotspot, wireless router, and devices with direct Wi-Fi. Some adapters even make use of any cabled networks. Additionally, the version of USB also matters. In most instances, manufacturers only provide two options; these are USB 2.0 and USB 3.0. In these hard economic times, it’s always important to factor in the power usage element when buying any electronic device. Some questions to ask before buying a wireless USB adapter for your gaming needs are. These may include considering whether the adapter will rely on the computer for power or if it requires to be connected to its own power source. The former can be a better option since it minimizes power consumption because it relies on your PC for power. Wireless USB adapters are active devices that definitely need a signal receiver component. Most options come with stationery antennas. The antenna can be internal or external depending on the type of your adapter as well as the signal; reception quality in your area. On average, most wireless USB adapters of today range from 2.4 to 5GHz in terms of speed. Higher speeds mean less time uploading or downloading stuff. This also makes your operations on the internet easier and more convenient. All in all, a wireless USB adapter eliminates the need to use cabled networks. These adapters are also portable and easy to use. Check out https://topprobe.com/best-wireless-network-adapter/ for some cool wireless adapters.